Consumer alert with a capital C.
Awesome. Some residual memory of Bing pushing the piano out the window going on. 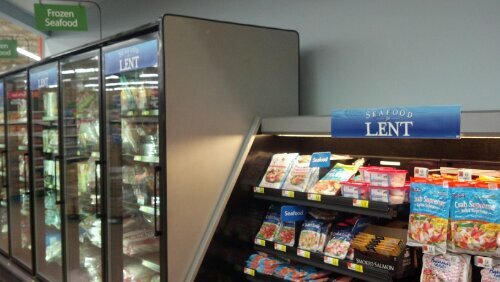 There was a time when Catholics didn’t eat meat on Fridays all year. Back in the day. Back when Al Smith ran for president. Olden days. Hank Aaron in right, Mays in Center, Williams in left. Girls in backseats with their pointy bras that made you cream in your pants. It will take a ring to get that thing unhooked. Six kids and you could actually work in a factory and afford Catholic School. Knights of Columbus campground in the summer. Let ’em run wild. Kids on the city bus were told to get their feet off the seat…and they DID! No point trying to go back. Follow Francis as he follows Christ. This is fantastic. I sense a Webb fable coming on. Aren’t you about due to crank one out? Too many big words. I like to watch TV.